Are you looking to add a little color to your life? Stop by Orphans of the Storm® and meet some of these adorable dogs with adorable spots, patches, and markings! 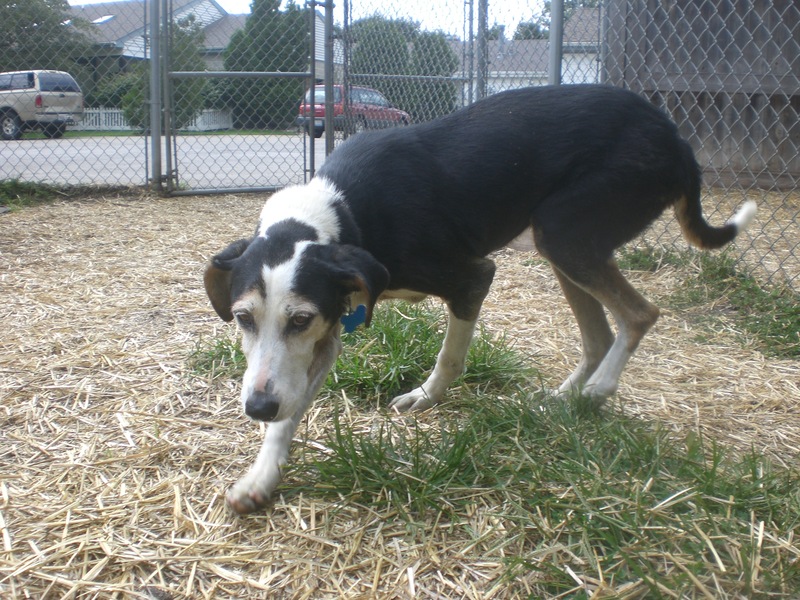 Millie the eight-year-old Treeing Walker Coonhound mix is, in a word, a snuggler. Rather than romping around when she was let off the leash in the run, she kept going back and forth between me and another volunteer so we could both lavish her with attention. 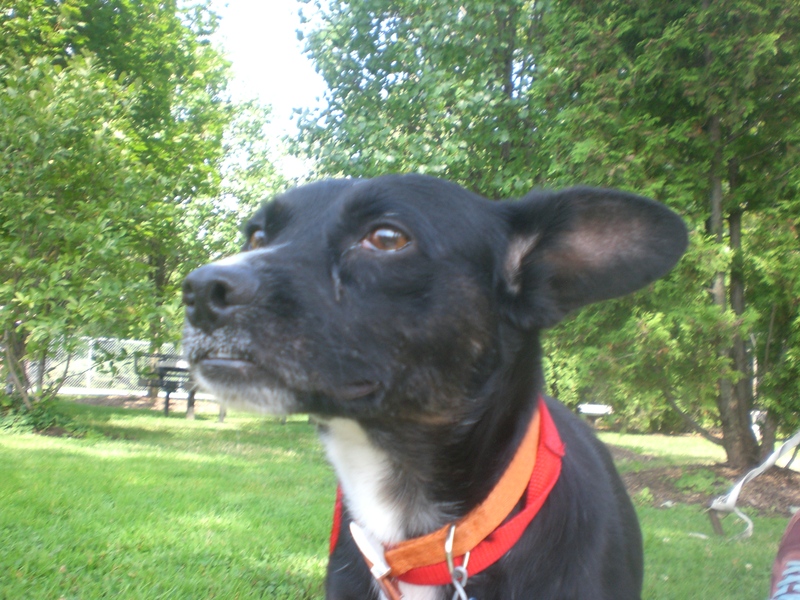 Millie is the type of dog who will calmly rest her chin in your lap while you rub her ears. 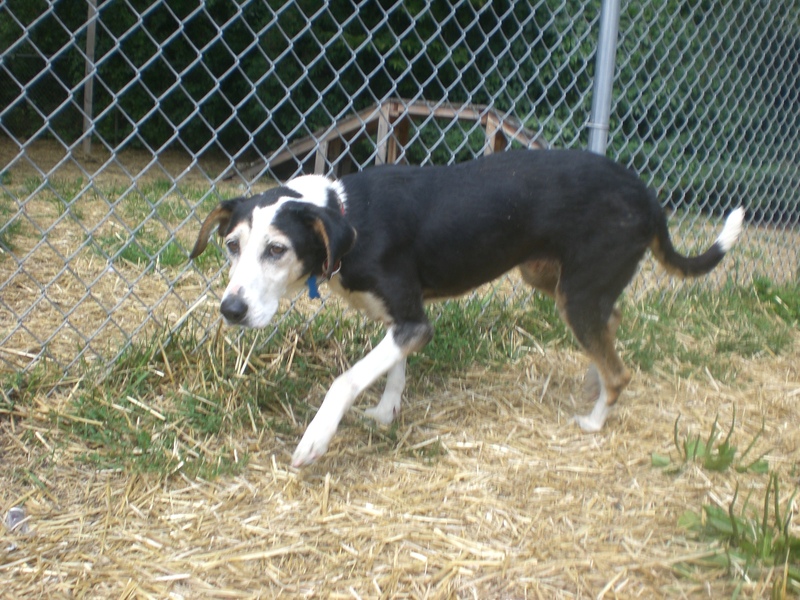 Millie also gets along well with other dogs; she’s currently sharing her kennel with Joanie (see below). Millie seems like she might not have had the easiest life before arriving at Orphans of the Storm®. She seems a little sad, but also plenty hopeful. Her tail was wagging in no time once we got out and about and she realized that we were going to treat her nicely. How could you be anything but nice to a dog as sweet and gentle as Millie? Millie is ready to show her new family just how loving she can be. 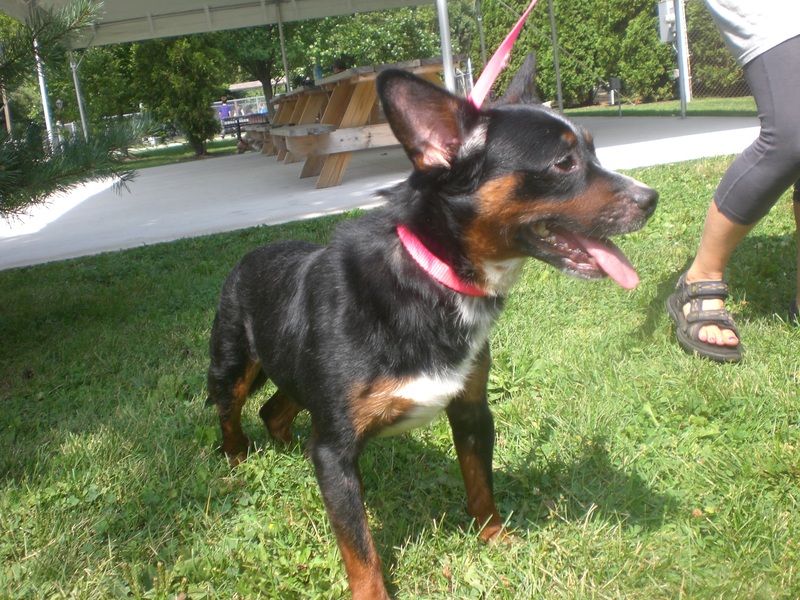 Stop by the shelter soon to meet Millie! Joanie the eight-year-old Beagle mix is a lot like Millie (see above) in that she maybe hasn’t always been cared for as well as she should have been and is a little sad about it. But that just means that now she is more than ready for a second lease on life! Joanie walked nicely on the leash as we made our way to the run, though being a Beagle mix she of course had to stop and do plenty of sniffing along the way. Joanie takes a little longer to warm up to new people, but once she does, you have a friend for life. After just a few minutes, Joanie was giving me doggy kisses and standing by the other volunteer, patiently waiting her turn to be pet. You can tell just from looking into Joanie’s eyes that she is a sweet, gentle soul who wants nothing more than to be someone’s companion. If you’re looking for a real sweetheart, come in soon and say hi to Joanie! Mr. Big the two-year-old Labrador Retriever mix has a bit of an ironic name, because he’s actually lapdog-sized. And that’s great for everybody, because Mr. Big certainly likes the idea of being a lapdog. He was a little uncertain about walking on the leash at first, but eventually realized that it wasn’t so scary and started leading me on our walk, instead of the other way around. Mr. Big quickly climbed into my lap after I took a seat on the ground and gave me some doggy kisses. We had a nice time sitting in the shade together and it was nice to see him relax a little. When it was time to go back to his kennel, though, he got nervous again so I picked him up and carried him. He had no problems with me picking him up. Mr. Big is currently sharing his kennel with Screamer (see below), so he could go to a home with or without another dog. 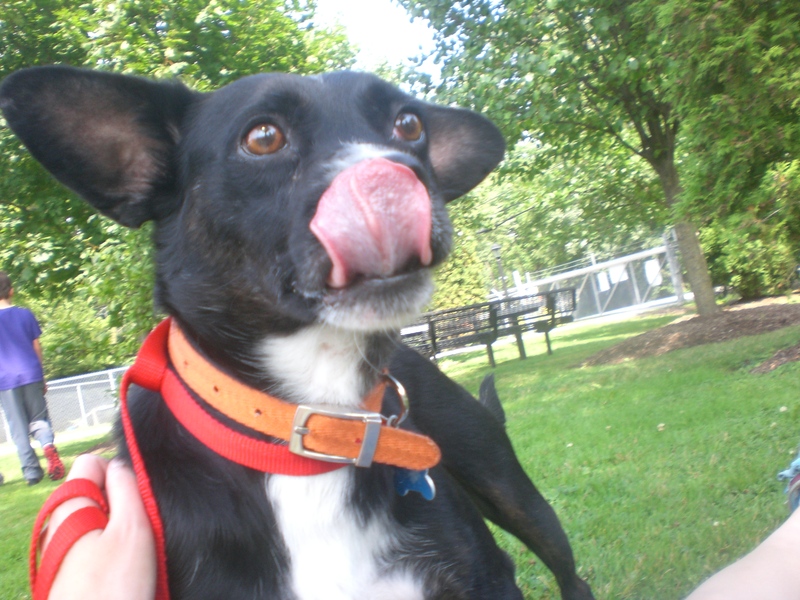 Stop by the shelter soon to see if Mr. Big is the one for you! Screamer the four-year-old Hound mix actually looks a lot like Mr. Big (see above), except he has some brown fur mixed in with the black and white. Screamer was even more uncertain about walking on the leash than Mr. Big was, so he spent most of his time in the arms of another volunteer, where he slowly but surely relaxed. Screamer has an ironic name too, since I never even heard him bark! 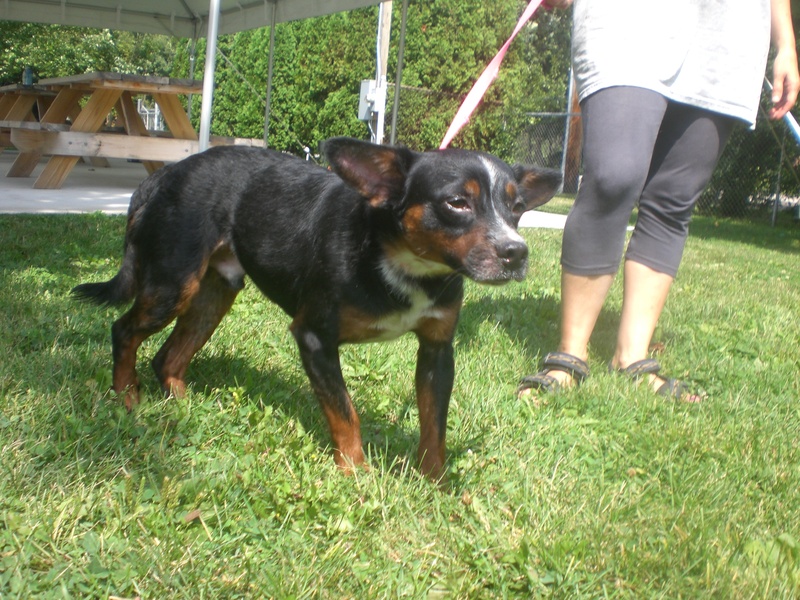 This little guy is looking for a family who will help him gain some confidence and come out of his shell. After just a few minutes of snuggling with the other volunteer, you could see a visible difference. He even gave her some doggy kisses! Imagine what a few days in a new, loving home would do for him. If you think that loving home might be yours, come in soon to meet Screamer! …But then Screamer perked up and became a happy pooch! I also saw my furry friends Benny, Blush, Colby, Corky, Ebbie, Janet, Ryla, Tom-Tom, and Winter. 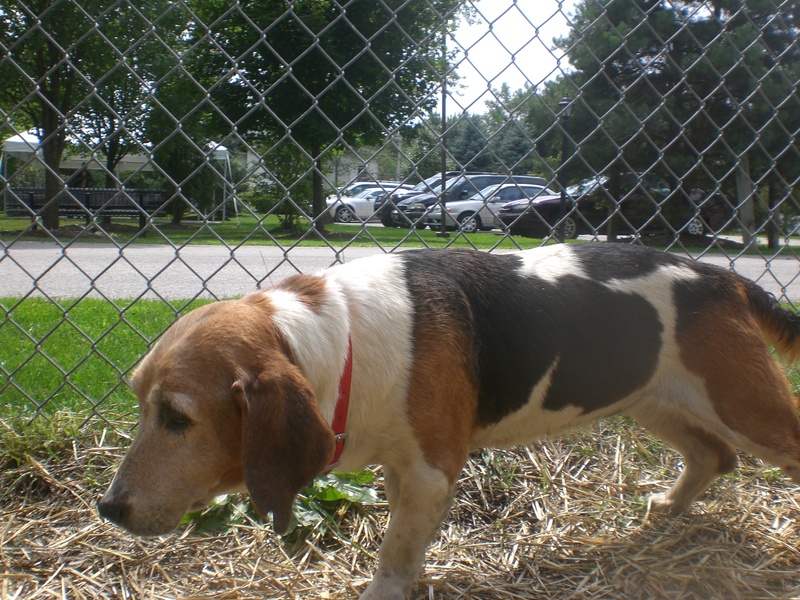 Posted by Meet the Pooches on August 21, 2014 in Dog Profiles and tagged adoption, animal shelter, animals, Beagle, Chicago, dogs, Hound, Labrador Retriever, Orphans of the Storm, pets, Treeing Walker Coonhound. Hi Amy You do great work!! Just curious to see what happened to Emerald,a long timer at the shelter. Thanks very much for reading! Sadly, Emerald passed away a couple of weeks ago. Although it’s upsetting that she never found her forever home, at least she had a roof over her head, a bed to sleep on, and a good meal every day. The staff and volunteers loved her! 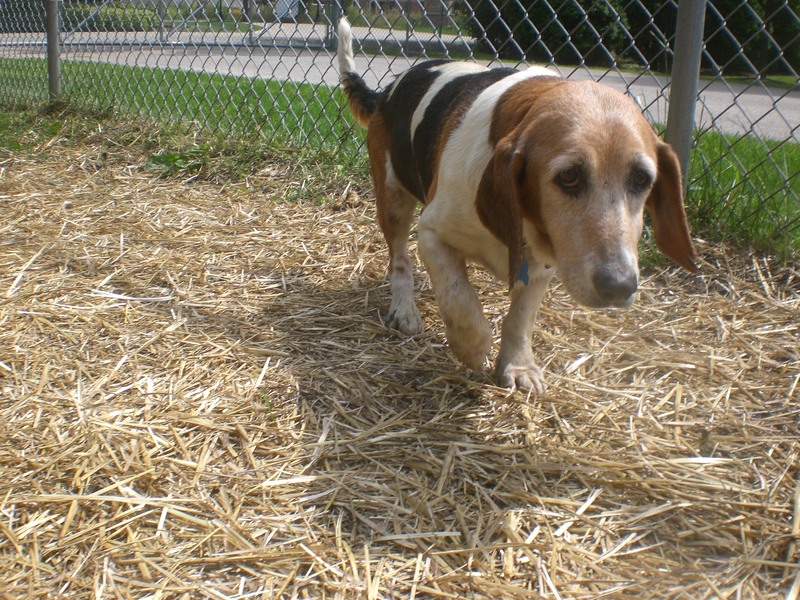 Hopefully some other senior long-timers, like Ebbie, will get their second chance at a loving home soon.